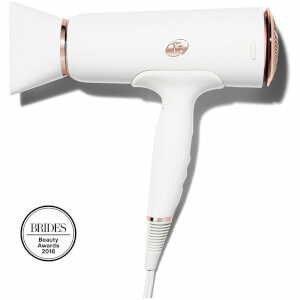 Helping you achieve salon style results at home or on-the-go, the T3 Featherweight Compact Hair Dryer is a lightweight, compact hair dryer that delivers moisture retaining, frizz-free results. 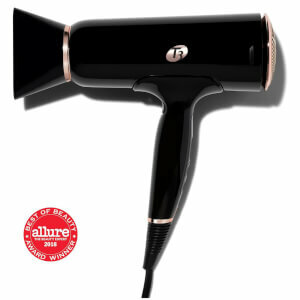 T3 Tourmaline® SoftAire™ for faster, healthier drying. Cool Shot for smooth, sleek finish. This dryer is tiny but is also incredibly powerful. I always pack this dryer whenever and wherever I travel. 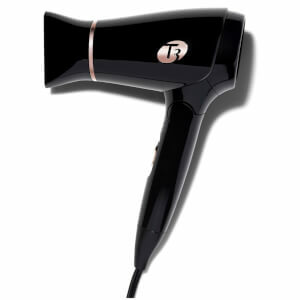 I love that it leaves my hair smooth and shiny in record time. I will never use a hotel dryer again! The hair dryer is fine, but I didn;t receive the comb. I like this dryer! It is light and dry my hair fast. It is convenient for me to bring it during the trip.